THURSDAY, Jan. 18, 2018 (HealthDay News) — Depending on how you navigate the aisles, your local supermarket can be an obstacle course of temptations or a direct route to eating healthy. In general, the healthiest foods are found around the perimeter of most markets. That’s where you’ll find low-fat dairy, lean meat and seafood, and fruits and vegetables — these should make up the core of your shopping. Resist the urge to go down aisles filled with foods you’re trying to avoid — sodas, candy and snacks. 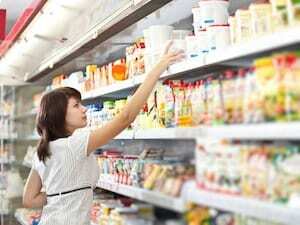 In general, minimize the amount of packaged foods you buy. But when you do need an item like crackers or breakfast cereal, always compare labels and choose the one with the least sugar, fat and salt. If your store has a bakery, look for whole-grain breads or rolls. If you haven’t made the switch yet from processed white breads, buying freshly made whole-grain baked goods can make the transition easier. But breeze right past the cakes and cookies. End your trip in the frozen food section if you’re shopping for fruits and vegetables that are out of season. Again, look for brands without added ingredients, especially sugar and salt. It’s OK to make grocery shopping fun. Visit farmers’ markets for fresh produce and specialty stores for locally made goods. But don’t forget to read the labels there, too. That delicious farm-made jelly could be loaded with unwanted sugar. The American Heart Association has a detailed online grocery guide called Simple Cooking With Heart that’s loaded with tips for healthy shopping.